I know I've already posted my free printable for the month, but I just couldn't offer a Valentine's printable and not do a President's Day one too, so you all get a bonus! 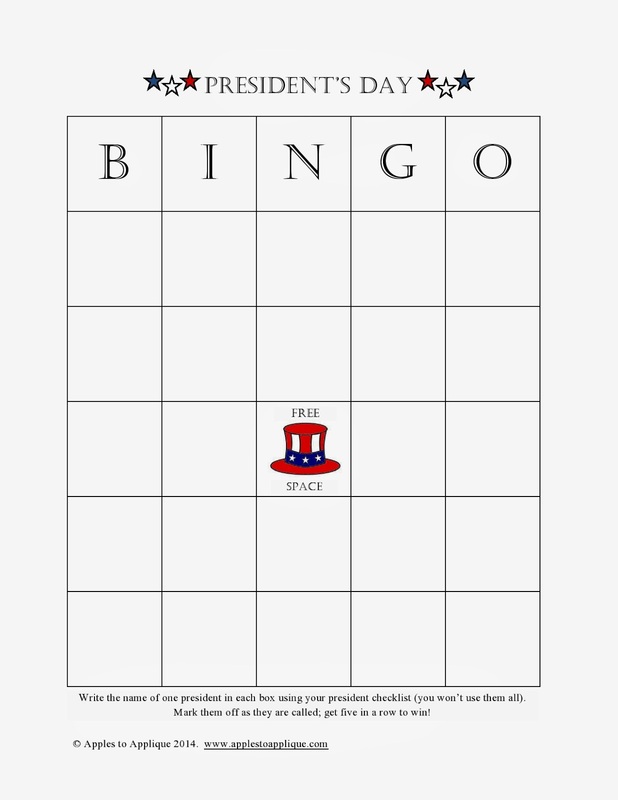 I've created a president checklist and President's Day bingo card. Many of my ideas to use these printables also include the use of president flash cards (although some of them do not, and others could be modified). I wish I had the talent to design printable flashcards of each of the Presidents, but I'm just not *that* artsy when it comes to drawing. 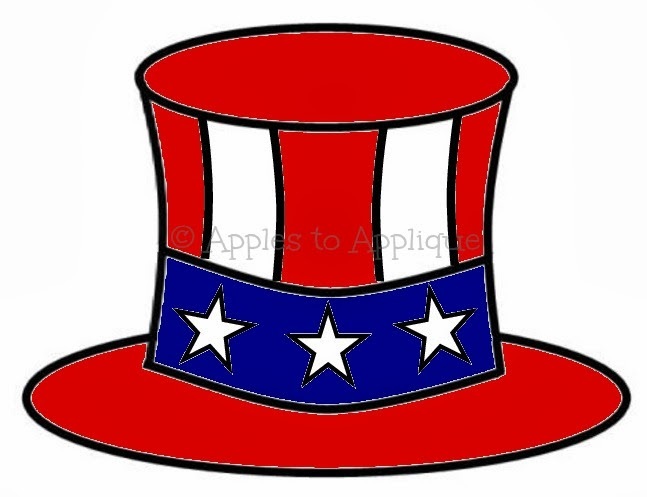 The little clipart-type images on my printables is all I can manage; pictures of each president is way beyond my talent level! However, you can download a lovely free set here. I have so many ideas for ways to use these flash cards and printables! These can be modified according to the age group you're working with. You can also simply take out cards of presidents that students haven't learned about yet. Have students create a timeline, putting the presidents in the correct order. This could be done in small groups or as an entire class. Use the checklist to check. Pair students, and give each pair a checklist. The student with the checklist names two presidents, and the other student has to state which president came first. Have students quiz each other in small groups using the flash cards as a guide. Play a Twenty Questions-type game where one student tries to get the class to guess which president he or she has. Switch it up and play "Who Am I?" by having each student hold a card up to their forehead (without looking at it) and go around the room asking one another questions to figure out which president they are. See who can figure it out the fastest! Pass out the cards. Have students write down a fact about their president and share it with the rest of the class. Pass out the cards along with the checklist (some students will get more than one card, depending on the size of the class). Have students mingle and tell each other one fact about the president on their card. Students place a check mark by each president they have "met" and heard a fact about. The first student to get all 44 check marks wins! (To simplify this for younger grades, only pass out some of the cards. 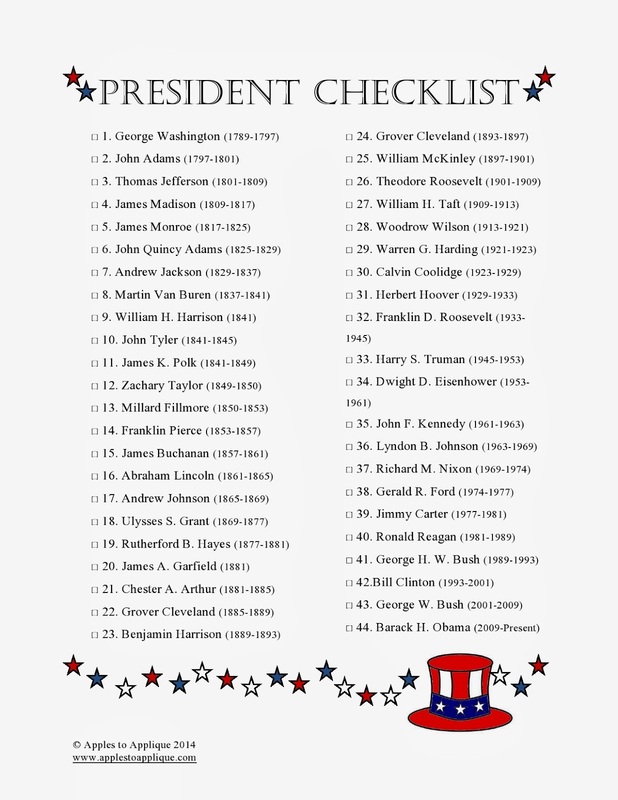 List off the presidents you are not passing out and let students get free check marks for those names). Play President Bingo. This would work for a center/small group activity, or as a whole class. Have students use their checklists to select 24 presidents and write one name per box on the bingo card. You can play by drawing out a flash card and calling out the name of the president, or you can switch it up by calling out a fact and having students cross out the corresponding president on their bingo card. I would love to hear other ideas you have for using these flash cards or printables! How do you plan on celebrating President's Day with your students? Right-click the images below to download.